Avionics International had the opportunity to sit co-pilot during a demonstration of the world’s first-ever helicopter radius to fix procedures. A collaborative use of instrument flight rules procedures and new flight control systems from Hughes Aerospace, working with the FAA, Garmin and AeroNavData, has produced the world’s first use of radius to fix segment coding for helicopter instrument approach and depart procedures. 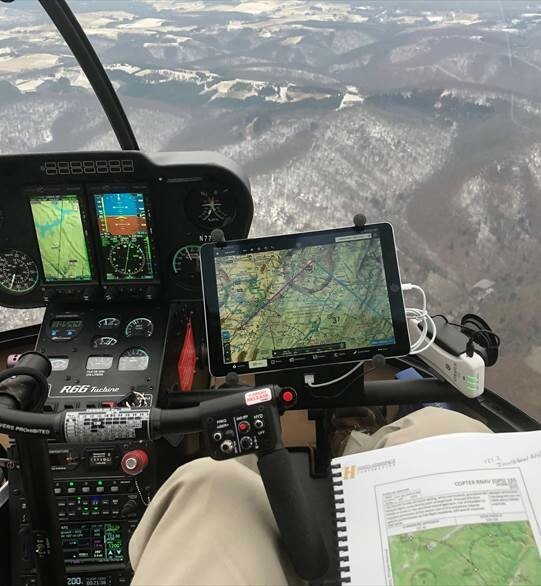 In December 2018, Hughes Aerospace CEO Chris Baur completed a flight validation of new helicopter IFR procedures using RF for a route consisting of eight different heliports between Morgantown, West Virginia, and Baltimore, Maryland. Baur and the air navigation service provider design team from Hughes developed the low-level helicopter procedure network, culminating during a week-long flight validation activity in the Hughes R66 flight inspection helicopter. The new Garrett County Memorial Hospital RNAV GPS procedure. The new procedures use the latest FAA criteria featuring Required Navigation Performance (RNP) 0.3 and RF segment coding. RNP is a performance-based navigation concept using internationally accepted specifications that create precise and determined pathways for fixed and rotary-wing aircraft. 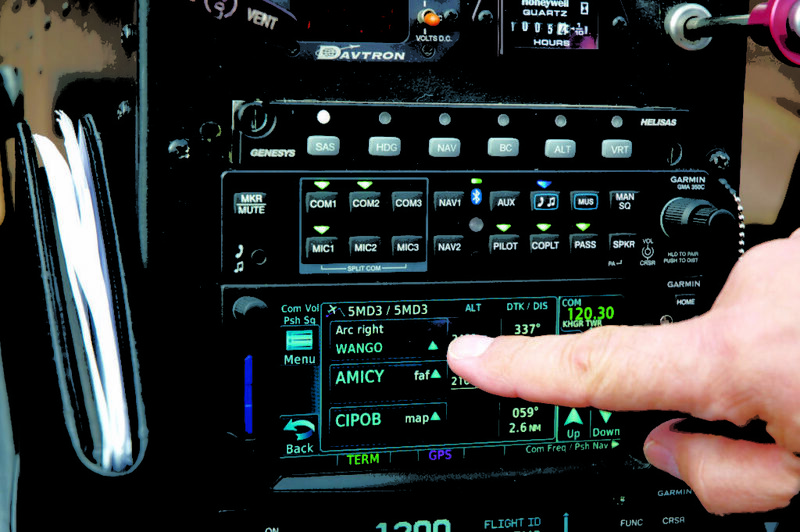 RNP 0.3 is the requirement for an aircraft’s navigation system to be capable of calculating its airborne position within a three-tenths of a nautical mile, and it is the International Civil Aviation Organization’s acceptable level of accuracy for the use of RNP in all phases of helicopter flight. Operators seeking to use RNP 0.3 today are required to add helicopter RNP H124 to their operations specification. Baur provided an in-the-cockpit flight procedure validation to Avionics International demonstrating the use of RF approaches at one of the hospitals along the new route – Garrett County Memorial Hospital. 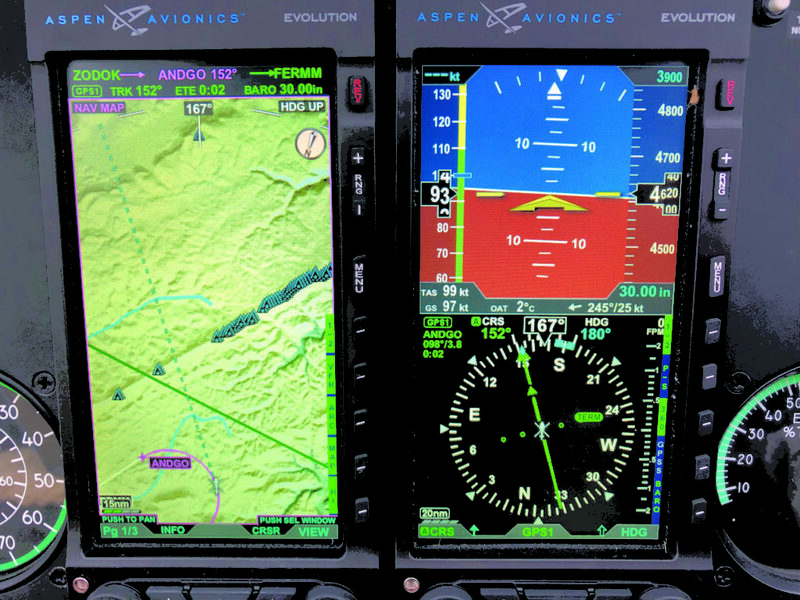 His company is using a Garmin-equipped Robinson R66 featuring high resolution twin glass displays, and a digital autopilot with stability augmentation and ADB-B In and Out. One of the central components enabling the new RF approaches is the 66’s Garmin GTN 650H flight management computer. The FMS featured a special navigation database reserved for flight inspection. “This is historic,” Baur said, as he removed his hands from the controls and watched the GTN 650 autonomously control the R66 from waypoint to waypoint. It’s the type of flying that Baur, a 40-year veteran helicopter pilot and airline captain, said is common in the commercial airline world but still limited to small pockets of the vertical flight community. “We want to deliver these type of advanced helicopter Instrument navigation procedures, now common in the air carrier community, to our customers in the vertical flight community,” he said. “The confluence of RF turns and LPV are used to mitigate heliport obstacles, terrain, noise and airspace issues, while providing safer, lower instrument approach minimums. It’s also wind independent, we noted the wind direction and velocity on each RF leg and recorded bank angles as well. The highest bank angle at any time within this approach was nine degrees. Typically in any helicopter PBN procedure design you want to use less than 20 degrees of bank angle,” he said. The effectiveness of the RF leg was shown during the first flight demonstration Baur performed in December, which featured cross and tail winds ranging from 20-30 knots. Even in those conditions, the helicopter was able to perform with a cross track error of just 0.00-0.01, or remain within 60.7612 feet. The procedure was created featuring helicopter RNP 0.3 and radius-to-fix segment coding as a demonstration procedure designed for use by the Maryland State Police. Baur’s experience flying commercial airliners showed him that through experience the use of RF legs in en route airspace has little-to-no benefit for fixed wing operations. However, at lower altitudes, where helicopters need to fly within defined paths and avoid encroaching on nearby airspace when approaching heliports with terrain and environment obstacles, it can help the helicopter fly the approach more efficiently, especially in IFR conditions. He sees the use of RF legs in PBN procedures holding massive benefits for reducing fuel and the number of track miles flown, as well as decreasing communication between pilots and controllers attempting to complete point in space helicopter landings. As the PBN movement spreads into helicopters and the vertical flight community, the benefits in safety, accessibilities and efficiencies are clear, as operators leverage their investments in avionics, particularly in the United States and Europe. This is an example of industry and government collaboration, that has delivered success. “In these cases, Hughes Aerospace develops a custom procedure, such as the one landing on the helipad at Garrett County Memorial Hospital, and provides this electronically to Garmin,” Bill Stone, senior manager of business development for Garmin’s aviation division said, describing the process of getting the new procedure into the Hughes R66 for flight testing and procedural validation with the FAA. 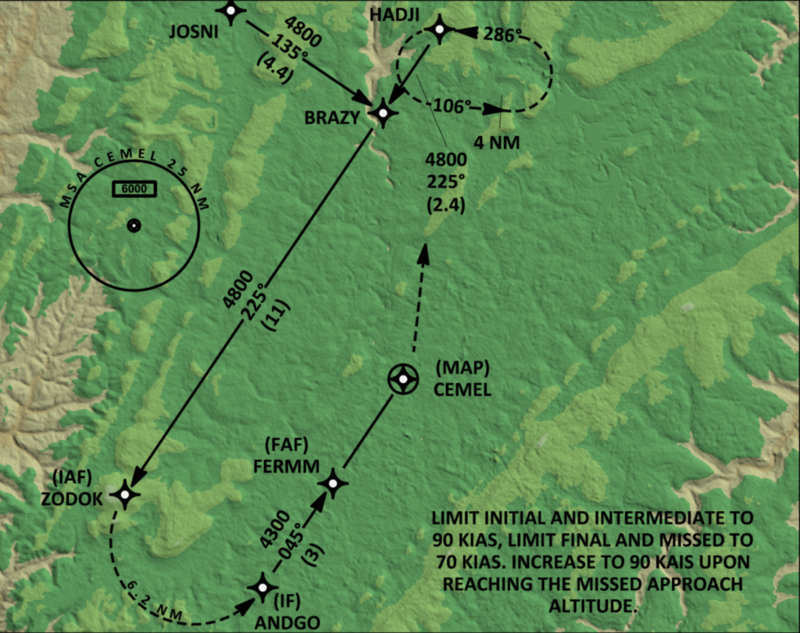 “Garmin then codes this procedure into a format which can be utilized by the FMS in the GTN 650/750. And finally we provide Hughes with an experimental custom database containing this procedure,” he said. Garmin first added the use of radius to fix legs as one of the leg types used by the GTN through a 2016 software update. The approach procedures developed by Hughes are the first to take advantage of that update. The GTN’s ability to autonomously control the collective is a standard capability on the GTN, according to Stone. “This is a natural capability for our FMS’s such as the one in the GTN 650/750. The GTN has the ability to navigate complex flight plans and all ARINC 424 leg types for all phases of flight including departures, arrivals and approach procedures including the missed approach. Provided the aircraft is equipped with a compatible autopilot, the GTN can provide positive course guidance throughout the entire flight plan,” he said. A depiction of the radius to fix waypoints on Garmin’s GTN 650. Another company that was key to assisting Hughes in getting the new procedure developed and ready for flight testing verification is AeroNavData. The Illinois-based provider of navigation data coding is one of only four companies in the world with a type 1 letter of authorization to provide navigation data IFR procedures in fixed and rotary wing aircraft. Their main role in the project was to take the raw aeronautical data provided by Baur and the Hughes design team – sourced from the actual flying and airspace waypoint creation of the new approaches – and provide verification and validation. They then sent a file to Garmin containing that source data for the new procedure, which was then converted into a binary machine readable format for the GTN flight management computer. Although the company’s navigation database contains more than 6,000 heliports in the western hemisphere, Covington said the majority of requests for design procedures related to RNP are for fixed wing cockpits. Currently the Maryland State Police procedures are for FAA testing and data collection. Here’s what the R44’s avionics displays look like depicting the radius to fix turn. The better navigational and positional accuracy or containment through the use of RNP allows helicopters to operate in instrument meteorological conditions, requiring less airspace when supported by the space-based augmentation systems such as WAAS in the US or EGNOS in Europe. Other benefits include the use of vertical guidance which can have minimums of 250 feet height above surface landing and less than three fourths of a mile of visibility. Helicopter pilots still continue to fly mostly visual flight rules approaches across emergency medical and law enforcement operations, which can be limited and exposed to icing conditions and reliant upon legacy ground-based navigation aids. Previously, equipage requirements for the use of RNP routes, approaches and departures were resisted to the airlines or business jets equipped with dual flight management computers, dual inertial reference units and more. Today, helicopter operators can benefit from RNP as well with 0.3 COPTER RNP predicated on SBAS or WAAS. The upgrades for PBN are also readily available today, as all current generation in-production twin engine helicopters feature navigation system packages that are compliant with international RNP helicopter airworthiness requirements. There have been efforts to expand the use of PBN in commercial aviation operations through programs such as NextGen in the United States and the Single European Sky ATM Research project in Europe, but the focus in those programs has been fixed wing operations. As an example, the PBN information section of the FAA’s NextGen implementation overview features no mention of helicopters or heliports, with all of the focus centralized around Q and T routes and RNAV/RNP approaches in en route airspace for commercial airliners and business jets. If an operator is RF equipped, they can operate an LPV approach as any other approach. It is simply required to be listed on the operator’s operation specification. Sitting co-pilot during a demonstration of the world’s first-ever helicopter radius-to-fix landing procedures. A collaborative use of instrument flight rules procedures and new flight control systems from Hughes Aerospace, working with the FAA, Garmin and AeroNavData, has produced the world’s first use of radius to fix segment coding for a helicopter landing procedure. In December 2018, Hughes Aerospace CEO Chris Baur completed a flight validation of new helicopter IFR procedures using RF for a route consisting of eight different heliports between Morgantown, West Virginia, and Baltimore, Maryland. Baur and the air navigation service provider design navigation procedure design team from Hughes developed the low-level helicopter instrument flight rules procedures after a week-long route verification of the new procedures with the FAA. RNP 0.3 is the requirement for an aircraft’s navigation system to be capable of calculating its airborne position within a three-tenths of a nautical mile, and it is the International Civil Aviation Organization’s acceptable level of accuracy for the use of RNP in all phases of helicopter flight. Operators seeking to use RNP 0.3 today are required to obtain special authorization from their local civil aviation regulator. Baur provided an in-the-cockpit flight procedure validation to Avionics International demonstrating the use of RF approaches at one of the hospitals along the new route – Garrett County Memorial Hospital. His company is using a newly-purchased Robinson R44 featuring high resolution twin glass displays, a digital autopilot with stability augmentation and ADB-B In and Out. One of the central components enabling the new RF approaches is the R44’s Garmin GTN 650H flight management computer. The FMS featured a special navigation database reserved for flight testing. “This is historic,” Baur said, as he removed his hands from the controls and watched the GTN 650 autonomously control the collective from waypoint to waypoint, as depicted in the approach chart provided below. As the R44 glided from waypoint to waypoint, a Maryland State Police helicopter’s ADS-B positioning was visible, so Baur opted for the missed approach. By selecting the test procedure his team developed from within the system’s navigation database, the flight management system populated a new set of waypoints, a missed approach using an RF segment arc from HADJI to BRAZY. It’s the type of flying that Baur, a 30-year commercial airline pilot who is also type rated across multiple helicopter variants and runs an air navigation service provider, said is common in the commercial airline world but still limited to small pockets of commercial helicopter operations. “I’m really trying to bring the type of predictable approach paths and procedures from the commercial airline world to civilian helicopter operations,” he said. The effectiveness of the RF leg was shown during the first flight demonstration Baur performed in December, which featured cross and tail winds ranging from 20-30 knots. Even in those conditions, the helicopter was able to perform with a cross track error of just 0.00-0.01, or 60.7612 feet. The procedure was created featuring RNP 0.3 and radius-to-fix segment coding as a demonstration procedure designed for use by the Maryland State Police. This type of advanced use of RNP though remains limited within global commercial and civilian helicopter operations, the bulk of which exist in North America and Europe. However, there are efforts to continue its expansion, which can only occur with the type of collaborative effort it took to create the new procedures. “In these cases, Hughes Aerospace develops a custom procedure, such as the one landing on the helipad at Garrett County Memorial Hospital, and provides this electronically to Garmin,” Bill Stone, senior manager of business development for Garmin’s aviation division said, describing the process of getting the new procedure into the Hughes R44 for flight testing and procedural validation with the FAA. Currently the RF approach procedures remain reserved only for flight testing and validation, and all of the heliports along the new route are still reserved to VFR operating conditions. Helicopter pilots still continue to fly mostly visual flight rules approaches across emergency medical and law enforcement operations, which can be limited and exposed to icing conditions and reliant upon legacy ground-based navigation aids. That continues to make any of the aspects of the advanced use of RNP that Hughes demonstrated very limited in the world of helicopter operations. Equipage requirements for the use of RNP approaches include dual flight management computers and two inertial reference systems. Pilots also need specialized aircrew training and must also demonstrate their ability to do things like use the containment accuracy of WAAS demonstrated at 0.3 RNP. While the new RF procedure is ready and certifiable today, it remains unpublished and unavailable to suitably equipped helicopters without obtaining special authorization. Moving forward, Hughes is working on the development of three additional helicopter prototype procedures at three new heliports and will be conducting similar demonstration flights in visual meteorological conditions to collect data and identify any obstacles to deploying WAAS–enabled helicopter PBN procedures. Air Medical Group Holdings, Inc. has signed a multi-year contract with Hughes Aerospace for COPTER instrument procedures, COPTER RNP routes, procedure maintenance and heliport services. Hughes is providing AMGH and its subsidiaries with the latest in COPTER LPV, LP and LNAV instrument approaches, departures and RNP 0.3 COPTER routes depicted on all digital geo-referenced charting products. Upcoming developments could pave the way for helicopters to maneuver through even the most obstructive environmental obstacles. Just in case you missed it, the future of navigation is here and ready to go to work. Once we understand what it can do for us. So before we can figure out where we are going, it makes sense to see where we’ve been and how we got there. Legacy navigation, a term of endearment for how we navigated from place to place, was predicated on tracking and homing courses from ground-based radio stations. You went where it took you, not necessarily where you wanted to go. Hence the navigation was linear, not trajectory-based, and two dimensional, lacking a vertical path. This necessitated the “Dive & Drive” of descending on an instrument approach. Regretfully, this created the opportunity for controlled flight into terrain (CFIT), leading to catastrophic accidents involving aircraft large and small. The legacy instrument flight rules (IFR) system was created for fixed-wing aircraft, and the helicopter pilot was further challenged by the inherent restrictions, inflexibilities and limited access IFR provides. Before a durable system can be created to serve the vertical-flight community, the architects need to understand the limitations of helicopters and challenges encountered while operating in the legacy system. Arguably, the legacy system did not exploit the unique capabilities of the helicopter, being the only conveyance that can travel from point-to-point without the need for roadways, waterways or runways. My own experiences with copter IFR involved significant delays in obtaining an IFR release, wasting valuable fuel and ultimately receiving a clearance that would not resemble what was originally filed or required. After finally taking off, and receiving vectors two states away, excitement built as the originally planned fuel margins evaporated, moving on to plan B. Ever present is the threat of icing – blade, structural and engine inlet. Clearly the legacy system assisted in creating the very risk and opportunities that IFR flight should avoid. Further constraining copter IFR is the lack of a single-engine IFR certification program due to Part 27 requirements, which call for the same avionics certification standards for single-engine helicopters that are required for jets in the transport category. Single-engine fixed-wing aircraft are not subjected to the same impediments as single-engine helicopters since they are required to follow Part 23 standards. This cultivates several questions. Why the difference? Is this requirement serving the industry or the flying public? Does it facilitate an acceptable level of safety? Do single-engine fixed-wing aircraft sustain unacceptable rates of failure on their components since they are not “protected” by Part 27? In my experience, operating a single-engine turboprop almost exclusively single-pilot IFR, equipped with contemporary avionics, has demonstrated their robustness and reliability. Their capability has been equivalent to my experiences operating Part 25-certificated transport-category jets. If the requirements outstrip the benefits and the core issues are not being addressed, why continue down this path? GPS changed all of that. At first, GPS was about the freedom to navigate directly between two points. This paved the way for instrument approaches with lateral guidance — standard instrument departure (SID) and standard terminal arrival route (STAR) — and vertical navigation. Raw GPS has an accuracy of 10 meters. If the raw signal can be corrected for its local inaccuracies and position errors, the accuracy can be improved to 1 to 2 meters, and with the application of a flight analysis system (FAS) data block, vertical guidance. Vertical guidance can also be achieved with barometric altimetry or GPS augmentation, known familiarly in the form of the FAA’s wide-area augmentation system (WAAS). There are two methods for delivering GPS augmentation: space-based augmentation (SBAS) and ground-based augmentation (GBAS). WAAS supports localizer performance (LP) and localizer performance with vertical (LPV) instrument approaches. 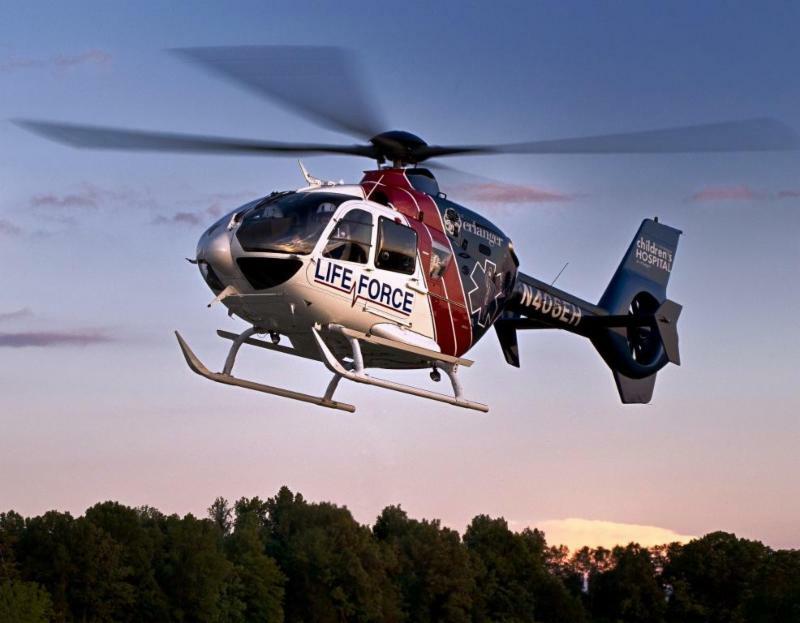 In the spectrum of helicopter IFR, hospitals and operators have a choice in selecting a service provider to develop, certify and maintain instrument flight procedures. Our goal at Hughes Aerospace has been to adapt the technology we’ve implemented in the air carrier community into the vertical-flight community, wherever it makes sense to do so. We have worked with the FAA over the past several years to examine the benefits of GPS and WAAS. To that end, we’ve been involved in serving the helicopter industry with instrument flight procedures (IFP), built by certificated and experienced terminal instrument procedures (TERPS) engineers, using industry-standard software tools and FAA public criteria. Proponents are often confused between instrument procedures characterized as special or public procedures and the criteria that were used to develop the instrument procedures as proprietary or public. The vast majority of helicopter IFPs are characterized as special. Depending on your service provider, they can be developed and maintained to either proprietary or public criteria. When IFPs are developed and maintained to public criteria, you can be assured that they are not restricted to a sole service provider and will be kept updated to the most current and relevant criteria. As an FAA-authorized service provider, Hughes Aerospace possesses several letters of authorization, allowing it to perform heliport evaluations, IFP validation, as well as certification to develop and maintain IFPs. Hughes is one of two service providers that the FAA has authorized to develop and maintain Part 97 public instrument procedures as well as specials. Helicopter IFPs typically consist of lateral navigation approaches (LNAV). They are depicted with a minimum descent altitude (MDA) and typically constructed with approach minimums around 450 to 600 feet and 1 square mile of visibility. Using WAAS, we can create instrument approaches with much lower minimums. We recently developed the first helicopter localizer performance instrument approach, which has lower minimums than LNAV due to the superior accuracy (containment) of WAAS. Many contemporary avionics are capable of providing LNAV+V or LP+V instrument approaches. When you observe a +V, the avionics are providing LNAV with advisory vertical guidance (typically a 3-degree flight path angle, or FPA). This pseudo angle is extremely helpful in providing a stabilized approach, but bear in mind this is not based on a TERPS vertical surface. Oftentimes when you see an LNAV/LP+V procedure, it can be an indication of a possible obstruction that prevented the implementation of an approach with vertical guidance. Localizer performance with vertical guidance, or LPV, is identical to a precision ILS instrument approach, featuring a DH or decision altitude with minimums as low as 250 feet and 3/4 square miles visibility. We can develop these instrument approaches with a variable geometric path or FPA beyond the fixed-wing standard of 3 degrees. Several contemporary autopilot systems will support FPAs of 7 degrees, allowing increased mitigation of terrain and obstacles. En route connectivity is provided by helicopter routes, and until recently, helicopters were left using low-altitude “Victor Airways” or TK routes, which are extended transitions of instrument approaches. We have developed these routes independent of the approaches that can be line-selected in the flight management system (FMS). These routes are positioned to more favorably use airspace and mitigate terrain. Another new element of navigation is the advent of the electronic flight bag (EFB). It supports a paperless cockpit, organizing charts, approach plates and manuals into a simple electronic repository. To better support EFB customers, we developed a digital, color-charting product that includes geo-referenced terrain contouring. Geo-referencing transforms the electronic chart, allowing the GPS feed from the EFB to provide own-ship display on the approach chart. This is a significant improvement in safety, providing the pilot with enhanced situational awareness while navigating the approach. Some EFBs that support automatic dependent surveillance-broadast (ADS-B) can provide weather and traffic overlays on a geo-referenced chart. In the near future, required navigation performance based on WAAS will further enhance our opportunity to provide improved containment and utilization of airspace for helicopter navigation. This will provide routes and transitions closer to terrain and lower altitudes. Another element of this is the use of radius-to-fix (RF)-segment coding. The RF supports both precise lateral and vertical navigation, also allowing aircraft to safely maneuver around terrain and airspace constraints. Today, we can go from a pile of dirt to a certificated heliport with advanced instrument procedures in less than a year, in support of safe, all-weather day/night operations. 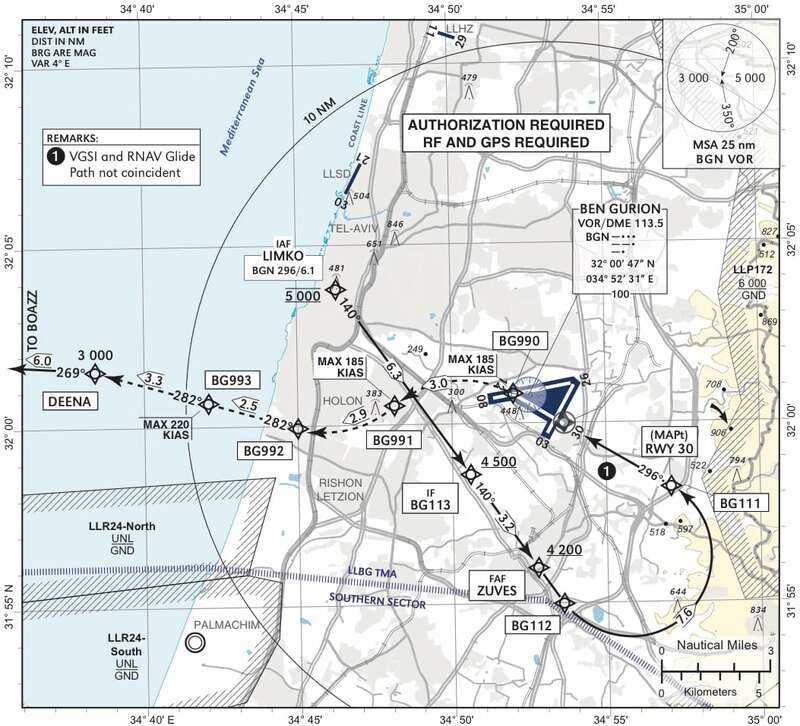 [Avionics Magazine 01-04-2017] The Civil Aviation Authority of Israel, with the help of third party Air Navigation Service Provider (ANSP) Hughes Aerospace, has deployed the nation’s first Required Navigation Performance Authorization Required (RNP AR) at its busiest international airport, Tel Aviv’s Ben Gurion (LLBG). Along with reducing the noise and the environmental impact of aircraft approaches on surrounding communities, the new approach will help keep aircraft flying into Ben Gurion safe from rocket attacks that previously suspended international flying to Israel. Ben Gurion International Airport’s new RNP AR procedure featured in the ICAO AIP. Photo: ICAO. The new RNP AR approach has been deployed for Ben Gurion’s Runway 30. RNP AR is an advanced Performance Based Navigation (PBN) approach procedure that requires prior authorization from a civil aviation authority. It enables an aircraft to fly a predetermined path between waypoints by placing an aircraft’s airport approach on a curved, precise path where the descent and positioning is constantly augmented by satellite-based navigation signals. Although Israel has other less advanced PBN procedures in place, the latest deployment is its first RNP AR procedure. In other countries, RNP AR and other types of PBN procedures have been deployed at airports primarily to compensate for increases in air traffic volumes, reduce noise and environmental impact on communities located near airports and reduce fuel burn for aircraft. The use of PBN also allows operators to take advantage of the advanced navigation systems capabilities featured on newer airframes. At Ben Gurion, all of the above were goals for the deployment, with the added need of keeping aircraft flying into the airport within Israeli airspace and out of harm’s way. In 2014, several major European and U.S. carriers temporarily stopped flying to Israeli airports after debris from an intercepted rocket fell near Ben Gurion. The Iron Dome system Bahat noted is a mobile air defense system Israel uses to intercept and destroy short-range rockets designated for populated areas. Bahat said the new procedure will reduce about 3 track miles flown into the airport from each approach. According to Bahat, the biggest users of the airport are Israeli carriers such as El Al and international carriers such as Turkish Airlines and Lufthansa. While the new procedure has been designed and published in the International Civil Aviation Organization’s (ICAO) Aeronautical Information Publication (AIP), Bahat says Israeli carriers are starting fleet renewals and will be ready to use it within the next 1 to 2 years. Chris Baur, CEO of Hughes Aerospace, said that the procedure was validated in a Boeing 737 simulator and that El Al Airlines also completed a flight validation for it. Baur, who is also an experienced commercial airline and military pilot, said carriers flying to Ben Gurion historically have had trouble maintaining stabilized approaches to RWY30 because of the trajectory-based maneuvering required of pilots to remain stabilized to have a stabilized path to the runway. “It’s a challenging runway to land on because you have to fly a downwind, and then the winds can be quite strong sometimes coming off the Mediterranean Sea. We extensively used radius to fix legs to maneuver the aircraft and keep it within Israeli airspace on the new approach,” said Baur. From an avionics equipment perspective, noted Baur, most of the U.S. carriers that fly there could use the new procedure immediately, since most of the major U.S.-based airlines are RNP-certified and most of the aircraft that would land there would be RNP-capable aircraft. While Israel’s civil aviation authority has not officially committed to more RNP AR deployments, Bahat said it could be useful for an upcoming new airport currently being built. The Timna region’s Eilat airport, which is named after Israeli astronaut Ilan Ramon and his fighter-pilot son, Assaf, is expected to open next year. the compact country, where the military controls most of the airspace. without fear of striking a civilian aircraft. procedures in use at Ben Gurion are less precise.The Runway 30 RNPAR features “radius to fix” turns that guide an aircraft arriving from the west through a tear drop shaped pattern over the ground to remain clear of military airspace to the south and east of the airport. Cessna Citation Mustang light jet. business very well.” The FAA restored Israel’s ranking to Category 1 in late 2012.
airlines to use the airport at that time, and we refused,” says Bahat. for Iron Dome and keep Ramon always open,” says Bahat. Whether Ben Gurion or other airports will remain open to international airlines during times of strife is unclear. operational freedom as its controllers can waive noise restrictions on some approaches. miles away have Iron Dome protecting a city. “If I have the FAA confident to keep [allowing] flying to Israel, I will have one big worry off my head,” he adds. WASHINGTON—A slate of donated required navigation performance (RNP) procedures for Tacloban City Airport (Daniel Z. Romualdez Airport) in the Philippines may set the stage for further improvements in the island nation’s ground-based aerial infrastructure. The satellite-based procedures—one GPS approach, one required navigation performance (RNP) arrival and one RNP departure—were donated by Honeywell and partner company Hughes Aerospace, a provider of performance-based navigation procedures worldwide, in the wake of Typhoon Haiyan in late 2013. The storm knocked out the airport’s main terminal and its primary instrument approach aid, a very high frequency omnidirectional range (VOR) station. The RNP procedures are the first to be published in the Philippines. The new GPS approach to Runway 36 offers a minimum descent altitude as low as 320 ft. compared to 745 ft. for the VOR approach. Aside from the lower minimum altitude, the satellite-based procedure also features fewer track miles and vertical descent guidance through the aircraft’s flight management system. multiple transition points along the circumference of a virtual circle around the airport, is specifically tailored to the local weather. “The type of design lends itself well to an area with convective activity,” Chris Baur, president and CEO of Hughes Aerospace, said. “If you had weather that was shutting down one quadrant (of the circle), you can slide along the ring to pick up another transition to get to the airport.” Similarly, the RNP departure procedure seamlessly connects the airport to the en route environment for departures. The new procedures were originally developed to be in place in advance of a papal visit in January 2015, however final approval by the Civil Aviation Authority of the Philippines (CAAP) did not occur until May 2016, with the three procedures going live in late June. Most likely users will include Philippine Airlines and Cebu Pacific, all of which must receive approval from the CAAP. A Honeywell official based in the Philippines said in addition to a building an RNP approach to Runway 18 at Tacloban, the CAAC will also likely target “four or five” other airports that currently cannot receive airline traffic at night due to a lack of approaches and runway lights. [Avionics Today 08-10-2016] Nearly three years after one of the deadliest typhoons on record swept through the Philippines, the Asia-Pacific nation’s latest satellite-based navigation procedures have become operational within its airspace. The new procedures were donated by collaborative work performed by Honeywell Aerospace and Hughes Aerospace. Both companies worked with the Civil Aviation Authority of the Philippines (CAAP) and local airlines to deploy the latest Performance-Based Navigation (PBN) procedures in the country in late June. Cebu Pacific A320. Photo: Cebu Pacific Air. In 2013, Typhoon Haiyan created a 13-foot storm surge in the Leyte Gulf that swept through the city of Tacloban killing more than 6,300 people and destroying nearly 1.1 million homes. After the storm, one of the only ways to get relief efforts to residents in the Tacloban region was through the Daniel Z. Romualdez Principal Airport. However, the airport itself also suffered major damage, as the storm destroyed its Very High Frequency (VHF) Omnidirectional Range (VOR) ground-stations and landing lights. That limited air relief operations at the time, but ultimately lead to a new satellite-based solution, the Philippines’ first Required Navigation Performance (RNP) 1 Standard Arrival Routes (STARs), Standard Instrument Departures (SIDs) and Global Navigation Satellite System (GNSS) approach into the airport. All of the new procedures were published in the International Civil Aviation Organization (ICAO) Aeronautical Information Publication (AIP) in June 2016. “After the typhoon destroyed the VOR, we realized this was not the first time this happened and it was not going to be the last. In collaboration with Hughes Aerospace, we offered an immediate free-of-charge GNSS approach into the airport, so that when this happens in the future, the whole relief effort is not reliant on ground-based navigation aids,” Brian Davis, vice president of airlines, Asia Pacific at Honeywell Aerospace, told Avionics Magazine. According to the International Federation of Red Cross and Red Crescent Societies 2015 World Disasters report, the Philippines is “one of the most disaster-prone countries in the world,” with more than 103 million people reportedly affected by natural disasters between 2005 and 2014. The new satellite-based procedures help bring the Philippines into the next generation of commercial air transportation operations, as well. In December 2012, ICAO released a progress report on PBN implementation in the Philippines, showing the country’s first RNP approaches were implemented at two international airports, Ninoy Aquino International Airport (NAIA) and Puerto Princesa Airport, and one domestic airport, Iloilo Airport. Other countries, especially western nations, are in the process of de-commissioning unused VOR stations. In the United States for example, the FAA released an official policy statement in July 2016 listing 308 VORs throughout the National Airspace System (NAS) that it is currently considering decommissioning. While the CAAP ultimately ended up replacing its typhoon-destroyed VOR, Davis said all aircraft using the airport are equipped to fly the newly published PBN procedures, and airlines have welcomed them. 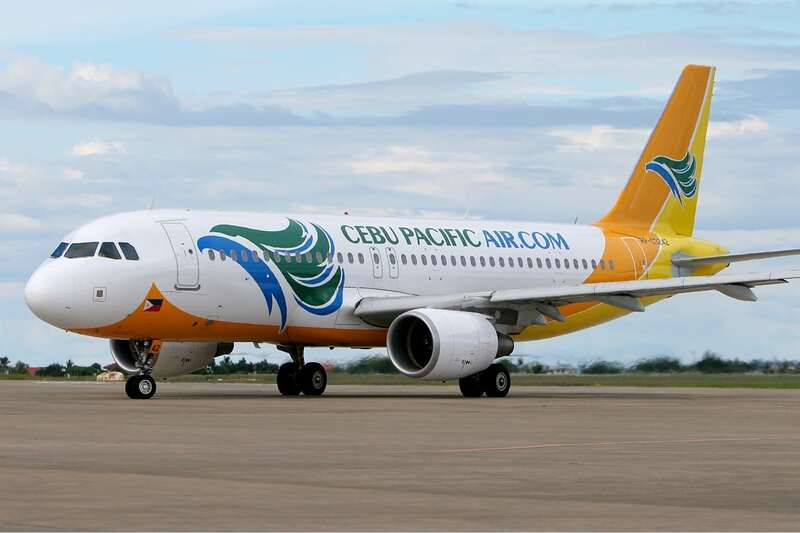 Cebu Pacific, a low-cost carrier based in the Philippines, aided the effort to deploy the new satellite-based navigation procedures by allowing Hughes and Honeywell to use its AirbusA320 simulator to test the new procedures before they were made operational. “We were able to lower the landing minimums over the traditional VOR approach. The new GNSS approaches were published in the AIP at the end of June, when the airlines flying there get their latest navigation database updates in their FMS, those approaches are there. We’ve received positive feedback from Philippines Airlines, and Cebu Pacific; they like the approaches because of the lower landing minimums, but they’re also using the existing [Standard Terminal Arrival Route procedures] STAR, which is now connected to the GNSS approach. So air traffic control already knows the airspace, the pilots already know the airspace, so not only was it a helpful on the landing minimums it was easy and useful to fly because they’re already used to that approach and direction into the airport,” Davis added. The actual work between Honeywell, Hughes and CAAP to implement the new procedures began in 2014, Chris Baur, CEO of Hughes Aerospace, told Avionics Magazine. During the process of coding and flight-testing the new procedures, Hughes became the Philippines’ only licensed third-party Air Navigation Service Provider (ANSP), as it was required by CAAP to provide to provide the new procedures at the airport. “These are the first RNP 1 procedures in the Philippines,” Baur said, noting that the new GNSS approach is a continuous descent approach that avoids flying to the VOR station and then outbound from the VOR. Davis says the Honeywell-Hughes partnership, which has completed deployments for several other PBN projects in China, and Myanmar, among other regions, is currently in talks with Indonesia’s civil aviation authority to bring similar procedures to Indonesian airspace.